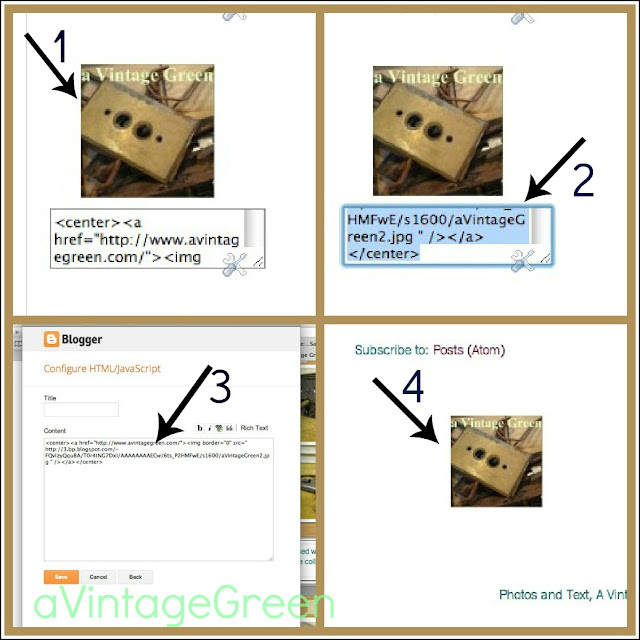 Bloggers often make Grab Buttons that, when clicked on, link back to their blogs. When you start out having a blog there are so many different 'small things' to learn, and sometimes it is not easy to found out where to find instructions/information. Often Linky Party Hosts ask that their Grab Buttons be put on the blogs of those who link to their parties. 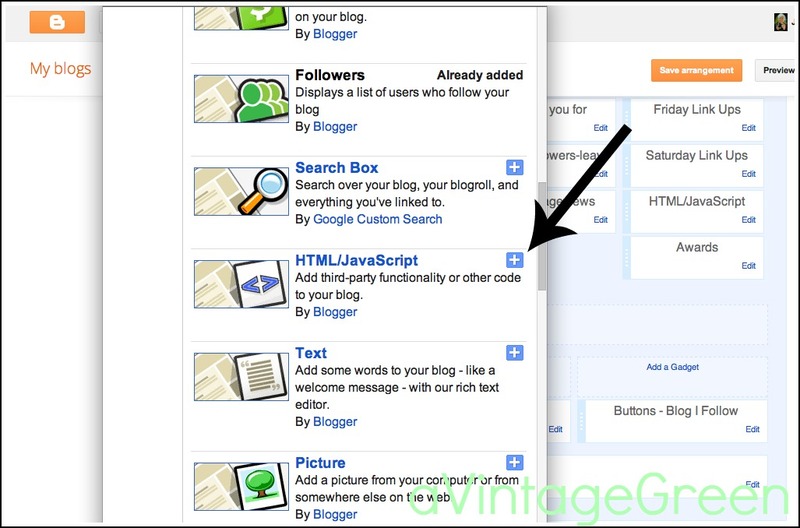 Grab buttons to your blog. Some Grab Buttons are copy and paste. Some are copy the html and open a html gadget and paste (Grab Buttons). I am posting about the 'copy the html' grab button. So, what is an html gadget? When you designed your blog page you added gadgets. To do that you clicked on Layout (1). Next you clicked on gadget (2). Note that there are more gadgets at the bottom of your blog layout and you likely will want to click on one of those, not a top of the page gadget. 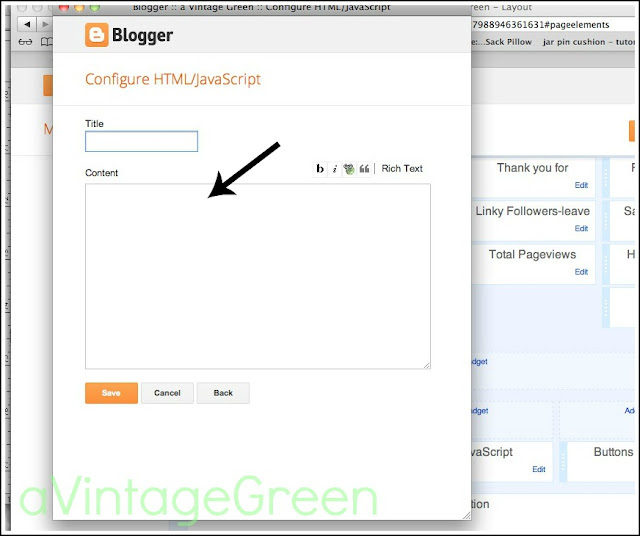 This is where you will add the html code you copied from a blog. (in the Content area). How is just below. So you are now at the place where you can add HTML for the button of your choice. Where did you get that HTML? 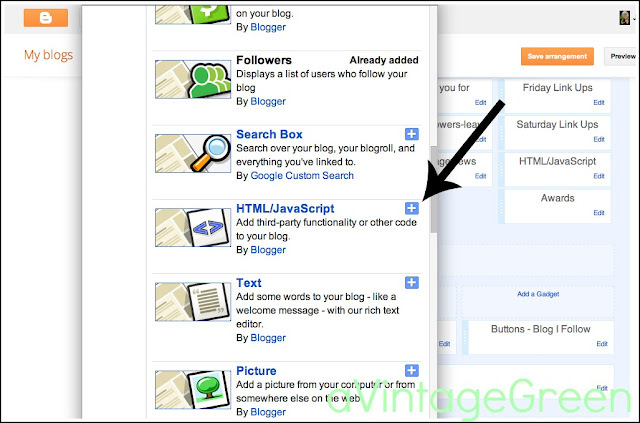 #1 is where you see a Grab Button (on another bloggers blog) that you would like to add to your blog. #2 you copy the code under their button (click in the code box and copy the entire code - there are several lines of code so start to copy from the first letter of the html text to the last, scrolling down). #3 Paste the code into the Content area (it is in HTML). After you paste it in, SAVE and then if you like click on Rich Text to see what you have. 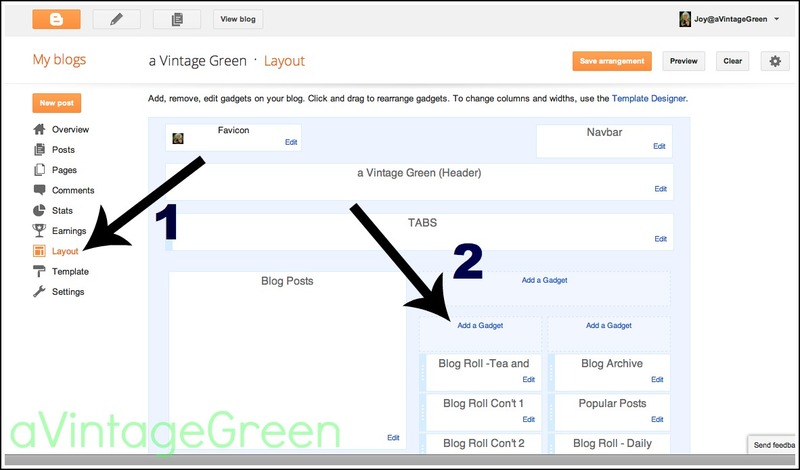 #4 is a screen shot of what the button looks like on your own blog. (depending on the layout your choose). You will see that on many bloggers pages. Hoped this cleared up a bit of the mystery. Thanks for the idea Hilda From Overwhelmed to Organized for the idea. screen shots are from my own blog. Labels: Adding a button from one blog to your blog. Tutorial - adding other bloggers buttons to your blog. Thanks for sharing. 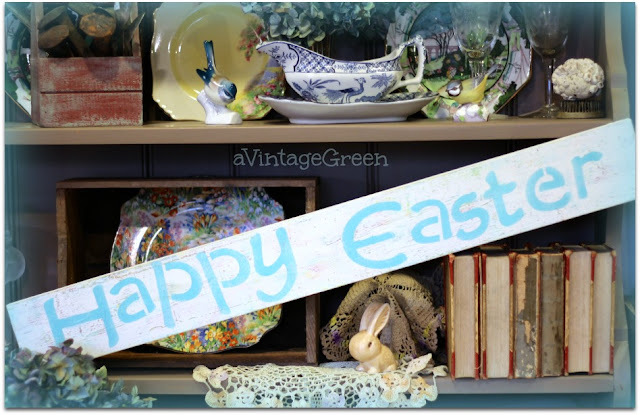 I have gone through phases on my blog page with lots of buttons and then where I have deleted them all. Even though I would like to promote blogs that I particuarly like or special blog friends, I sometimes feel my blog gets too cluttered. What is you opinion on this? I had all my favourite Grab Buttons. I am using name/links now. Others have also commented on this as well. Of course I learned how to make a grab button and was feeling pretty proud of that accomplishment, made some for my friends... you know how it goes when you learn something neat. This is a great tutorial, very clear and detailed. I know that many newbies have a hard time getting things figured out at first. Since adding a lot of HTML's to one's sidebar can make their blog load too slowly (and we get discouraged and just leave the site), I now just add the button with a name and link...no html's. Nice tutorial! Have a good day. Thanks for the tut. Welcome again. Could you give me your opinion of Linky followers and Google friend followers. Does it get messy having both. Are they the same followers. I'm confused. Thank you, thank you, I have wanted to figure this out but just didn't know where to start. Wow did I ever need this tut! I'm all alone just trying to figure out how to "do" things like that. Some things I've figured out, some things I still have a hard time with. Just wanting to have a nice blog - I'm New at this! Thanks! I’ve been wondering how this was done! I am getting ready to launch a blog and have been following your step-by-step guide. It has been so helpful! Thank you for sharing your expertise with us! I cannot thank you enough! I have searched high and low for a grab button tutorial, and yours was the only one that worked properly. Love it!